Looking to boost your PS4’s internet speeds? 5GHz may be the solution you need. Not to be confused with 5G, the hottest new networking infrastructure making waves, 5GHz is a wireless networking band that offers a higher bandwidth than 2.4GHz at the cost of range. It’s another one of those PS4 features that’s sometimes confusing due to variance of support across models. Does the regular PS4 support 5GHz? How can I start using 5GHz? Will it actually make a huge difference in speeds? Read below for answers to these questions and more as I dive into the realities of 5GHz console gaming. Is 5GHz Better for Playing PS4 Online? If you want to take advantage of the quicker cousin of 2.4GHz, you’re going to need to own either a PS4 Slim or PS4 Pro model. 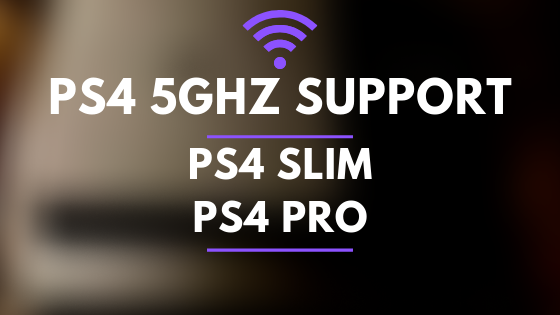 The original PS4 models do not support 5GHz. It doesn’t matter whether your Pro/Slim is a limited edition bundle, has 500gb storage, was purchased a year ago, or imported from some far away land. As long as it’s not an original model, you’re in the clear. It’s unfortunate that Sony omitted the feature from the launch models (read below to learn how to increase speeds on the base PS4), but then there are other omissions that don’t make sense (lack of Bluetooth support, no UHD Blu-ray in PS4 Pro, and so on). Making sure your console offers a higher bandwidth band is only half the battle – you also need to make sure that your router supports it as well. I personally own the Netgear Nighthawk router (awesome router for gaming/streaming) which offers simultaneous dual-band WiFi, meaning that it can output 2.4GHz and 5GHz at the same time. You’ll want to make a quick Google search with something like “[Your Router Model] + 5GHz” in order to verify this for yourself. 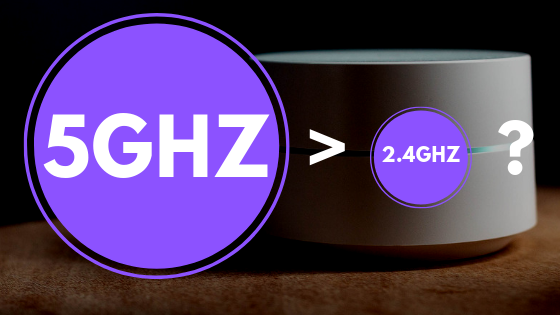 If it supports it, your router will most likely output 5GHz from the get go whether or not it’s dual band (many routers are dual-band due to the dominance of 2.4GHz). 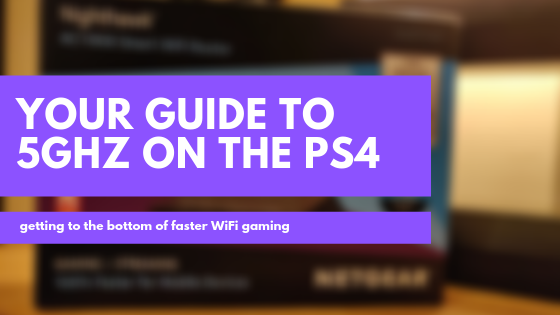 The only thing you will need to do after this pre-setup phase is go into the networking settings of your PS4 and select the 5GHz band SSID (service set identifier). What is an SSID? In basic terms, it’s what you name your router. Think about all of the devices you have connected to your router. How was it displayed/broadcasted during setup? This is what you’ll be looking for, only you’ll need to make sure it’s the 5GHz variant. For me, the Nighthawk router displays the band as Netgear-5G. You should see something along the lines of [your router]-5G but if not, reference your router’s setup guide to see how it displays the band. Simply press X when hovering over the correct SSID, enter your encryption key credentials, and test the connection. Provided you haven’t accidentally entered the wrong password, you’ll be off to the races with 5GHz on your PS4. In theory, 5GHz is vastly superior to 2.4GHz when it comes to gaming online. Routers pushing this band offer more room for wireless devices to occupy by way of an increased number of channels and more bandwidth than 2.4GHz. The end result is a much greater potential for speed and connection reliability (reduction of lag, packet loss, and dropped connections). If, however, your house is on the larger side and your PS4 is set up far away from your router, you may not be be able to reap the benefits. You might think of 5GHz as a sprinter – capable of immense speed at short distances. It, unfortunately, lacks the range of 2.4GHz. I can personally attest to the increase in speed on PS4 and otherwise due to the switch. I’m using a PS4 Slim, Netgear Nighthawk router, and Verizon Fios. The combination of the three has boosted the speeds of PS4 game and patch downloads (of which are notoriously horrible), and reduced lag and instability. A lot of my gaming is done online with games like Battlefield V, Overwatch, Black Ops 4, and Gran Turismo Sport. Truthfully, I wasn’t experiencing a ton of lag before the Nighthawk, but the switch to 5GHz has made multiple simultaneous connections a non-issue (PSN downloads, gaming, streaming Netflix, internet etc. ), and dropped internet connections are nearly non-existent. Streaming games to Twitch and YouTube was also very spotty before the switch to 5GHz. Using ethernet always reigns supreme, but if you need to go wireless due to your set up, definitely test 5GHz. It’s becoming increasingly important to fully tap the potential of networking speed and reliability with the boon of streaming on Twitch and YouTube, sharing screenshots, uploading gameplay, and playing massive online games like Fortnite. Sticking with an original PS4? Completely sensible, especially with next generation consoles just over the horizon. If you still want to try to boost your online gaming experience, there’s a couple things you can try. The most obvious solution is going to be using an ethernet port. Going hard wired is superior to WiFi in every way except convenience, besting even 5GHz. Obviously, you’ll need to be close to your router for this to work, but if you have the option, do it. At worst, you’ll find that your lackluster networking performance is due to something else like your ISP (internet service provider). And if it all pans out, you could see a tremendous improvement in terms of lag, packet loss, download speeds, and network multitasking. A powerline adapter is essentially a more convenient way of going hard wired. You plug one powerline adapter into your router and an electrical outlet, and the other into an electrical outlet nearest to your PS4. Finally, you connect the second adapter to your PS4 via ethernet. A connection between your router and PS4 is transmitted through the electrical wiring in your house. This method has the potential to greatly increase your speeds over WiFi, but like 5GHz, the final result depends on your house. The impact this will have on online gaming will ultimately depend on how the wiring is set up in your home, and reconfiguring indoor wiring isn’t exactly something you can just do on the fly. Thankfully, powerline adapters are relatively inexpensive so testing it out for yourself shouldn’t hit the bank too hard. It’s a shame Sony limits core capabilities of some of its consoles (why no optical port on the Slim? ), but thankfully, with some minor adjustments to your setup it’s rather painless to increase your networking performance. What is your experience with 5GHz? Worth the hype? Let us know in the comments below.